There is a stereotype that the type II diabetes condemns people to food unsalted boiled vegetables, but in fact with the right approach diabetic diet can be varied, healthy and tasty. Non-insulin-dependent diabetes, or "type II diabetes", much safer and "more comfortable" diabetes of the first type, in which the patient is forced to regularly monitor the blood sugar and doing insulin injections. The pancreas of a healthy person produces the hormone insulin, which enables body cells to break down glucose to obtain from it the energy. Diabetics of the first type in the body does not produce enough insulin, leading to excess accumulation of glucose in the blood - hyperglycemia. When type two diabetes the insulin does not perform its function because the sensitivity of cells to its effects significantly reduced. In this situation, to ensure the normal metabolism, the body requires more and more insulin, and the pancreas can no longer produce it in such quantities. The meaning of diabetic diet is to reduce glucose levels and the return sensitivity of cells to insulin. Diabetes type II diabetes is a hereditary disease, so if in your family there were cases of the disease do the tests. People with this type of diabetes know that they cannot eat. This is a rather long list of products. It includes sugar, confectionery, sweet drinks, bread, potatoes, cereals, pasta, figs, smoked meat, beans, chocolate and other foods with a high content of carbohydrates. The basis of the daily diet of the diabetic are fruits and vegetables, they should be supplemented with dairy products, mushrooms and lean meat or fish. Valid a small amount of carbohydrates, but it is better to avoid them. After receiving information about the presence of a diabetes, first of all get rid of harmful products: cakes, candies, strategic reserves biscuit - all of this throw out or give to friends and family. Instead, they'll buy a lot of different colorful fruits. One look can lift your mood. Of course, diet for diabetes mellitus of the second type requires more time simply because it will not happen quickly cook pasta or porridge, and buns will not eat. Besides at first you will have to experiment. For example, you may not like boiled or steamed vegetables. Try other options - soups, pates, if possible, cook them for a couple. A great way to make the taste of vegetables more intense is to roast them in the oven. Once quite difficult to deny yourself all your favorite foods. Diet for type II diabetes, in principle, allows the daily use of small amounts of carbohydrates - 100-150 grams of bread, 30 grams of cereals (initial weight before cooking), 200 grams of potatoes. You can eat a small piece of a normal dessert, but it is better to replace it with the fruit. 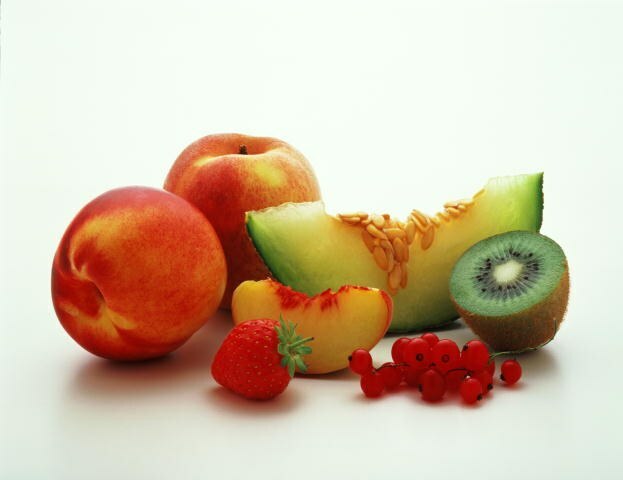 If sweets fruits you are missing, try various sweeteners, which do not contain glucose and sucrose. In large stores you can find ready-made pastry where the sugar is replaced with less harmful equivalents. In addition, the Internet contains a lot of dessert recipes for diabetics based on rolled oats, fruits and sweeteners. The particular success are, jellies, mousses and compotes. When type two diabetes it is important little and often is. It is optimal to eat 5-7 times a day in small portions. Do not eat before bedtime. Always eat Breakfast, Breakfast will help you feel good, supporting normal blood sugar levels. Type II diabetes is a big part of all types of diabetes. Most often it develops in people after forty years. Similar diet when diagnosed with diabetes of the second type it is necessary to observe all life, it allows you to feel good and to minimize the negative effects of this disease. It should be noted that type II diabetes is mostly an "adult" disease, but a number of children's cases still different from zero. To prevent this disease in a child it is important to lead an active lifestyle and not overweight, which, as a rule, linked with the emergence of type II diabetes. Diabetes is a disease which in recent years has become very common. Every day endocrinologists put such a diagnosis, it means that the patient will have for life to comply with recommendations for treatment, diet and way of life. Diabetes is a disease in which there is an increase in blood sugar levels. This negatively affects the blood vessels, greatly increases the risk of atherosclerosis. In the end, the list of complications, can get a stroke or heart attack. Therefore diet in this disease is a very important point. It used to be that diabetes diet should avoid any fruits and even some vegetables because they are a source of carbs and sugars. Now the experts radically changed. 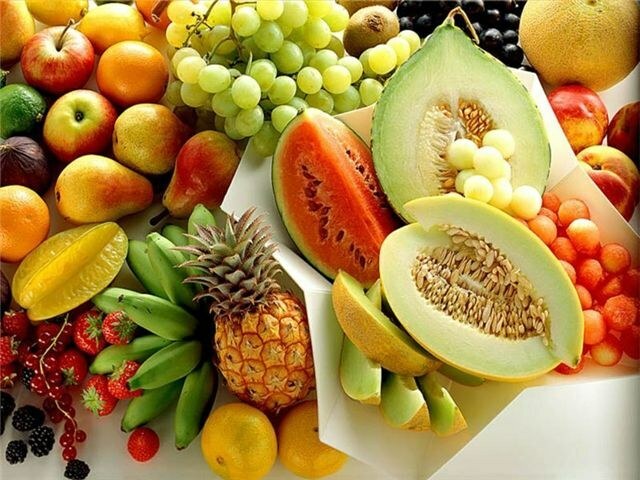 Because diabetes can be complicated by diseases of the skin, eyes, lack of nutrients, you must eat fruits that contain a lot of vitamins and minerals. To choose the right product, it is necessary to consider its glycemic index - it indicates how quickly the carbohydrates from the fruits and berries go into glucose. The best is the glycemic index of 70. If GI above 70, from eating this fruit are urged to refrain. Low glycemic index have citrus, as an example, you can bring a lemon and a grapefruit. They are a storehouse of vitamin C and beneficial fiber. Vitamin C has a positive effect on blood vessels, promotes their strengthening. High glycemic index have dates, bananas, sweet figs, raisins and grapes. From the diet should exclude them, to the level of glucose in the bloodstream after eating has not improved at high speed. Doctors believe that fresh, baked and steamed vegetables can be consumed in any quantity. With the exception of potatoes and beets. The most useful vegetable in diabetes nutritionists call cabbage. It contains a large amount of Goodies, in particular, vitamins and fiber. By drinking sauerkraut juice in patients with reduced sugar. Eggplants are a source of minerals, significantly normalize the cholesterol levels in the blood, remove excess fluid, it prevents the formation of edema. Of course, diabetes stays with the patient for life, but it is not a sentence. One has only to adhere to proper eating habits, enrich your diet with wholesome and permitted vegetables and fruits. If you follow the recommendations, it is possible to significantly improve the quality of life.